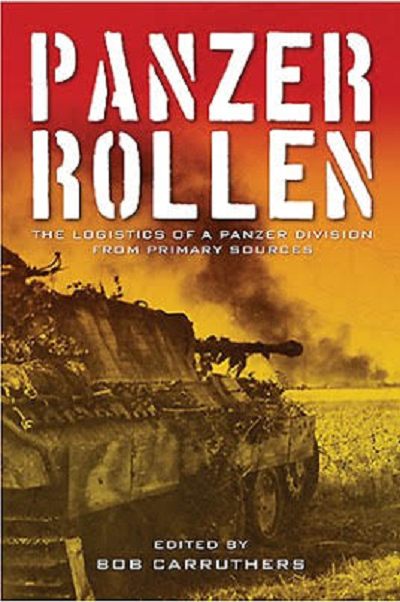 Panzer Rollen provided an insightful look into the workings of the Military Intelligence Service that was so invaluable in shaping both the strategy and tactics of the Allied forces during WWII. Captured German field manuals translated and published by the U.S. Military Intelligence Division are crucial in offering a perception of the intelligence provided to Allied fighters. The two volumes gathered together in this publication were originally published by the German War Office and therefore are particularly valuable, as they also provide a rare glimpse into the methodology underlying the operation of an armored division from the German perspective. Comprising of two supplementary field manuals, this book is essential reading for any military history enthusiast. Bob Carruthers is an Emmy Award winning author and historian, who has written extensively on the Great War. A graduate of Edinburgh University, Bob is the author of a number of military history titles including the Amazon best seller "The Wehrmacht in Russia". This book is soft-cover of 128 pages in 6" x 9 1/4" page format. Pen & Sword Books Ltd., is based in the U.K. The cover art is a red tinted wartime photo of a German Tiger tank firing its gun. The tank is covered with brush for camouflage. The back cover has another red tinted wartime photo of a German tank column moving up a hill. The book contains 14 chapters. In the center of the book there are black and white wartime photos. Shown are the Panzer I Ausf. A and Ausf. B, Panzer II, Panzerbefehlswagen III, Panzer II Ausf. J, Panzer II Ausf. A, Panzer III, Panzer IV Ausf. F2/G, Panzer III Ausf. J, Stug III, Panzer III Ausf. L, Tiger I, Panzer III Ausf. N, Panther Ausf. D, Tiger II, Panther Ausf. A, Panther V Ausf. G.
This book will be of great interest to German armor modelers and historians alike. I want to thank Casemate Publishers for this review sample and the folks at Pen & Sword.